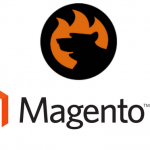 Magento 2 grouped products are one of the three complex product types in Magento 2 stores. Why complex? Because such products, that are often called parent, consist of several simple products that are called child, making them quite hard to manage. In this guide, we will show you how grouped products work, and explain how you can import such products to your Magento 2 store. As suggested by the name, the grouped products are a group of simple products that is composed on a certain criteria. What criteria? Actually, it is up to you, the store owner, to decide. Maybe you want to offer your customers a group of products that are composed by the season, for example, sneakers, shirt, sunglasses; or is it that you sell camping equipment, then: tent, rucksack, inflatable boat. As you can see, you can think of any combination. What is the purpose of grouped products? It is a sole convenience. Instead of asking customers to navigate different categories to get a shopping cart full, you can offer sets if items that complement each other. As with the main image for this post, we have decided to sell a training kit with jump rope, pushup grips and a backpack to hold it. Of course, you can sell all the simple products included in the grouped product independently, however offering a set of items may often save time and earn loyal customers. Now, let’s actually create a grouped product to see how it goes. Before we create a grouped product, first we need to create simple products, that will be a part of it. Basically, we are not creating a dedicated grouped product, rather join multiple simple products together. I trust you already know how to create simple products, so we will spend no time describing it. Now, before creating a grouped product and assigning simple products to it you must know the following facts. You cannot set up price for the grouped products. Instead the price is composed depending on the simple products customer purchases. The stock is controlled on the simple product level, meaning, that any stock updates should be properly reflected on the simple product level. Now, that you are aware of the grouped product peculiarities we can start with clicking Add Product button at the Catalog > Products screen. The grouped product has all the same settings of a simple product, meaning that you will need to specify product name, SKU, URL, and descriptions to proceed. The main difference comes with the Grouped Products settings section. That’s where you assign simple products (child) to the grouped one (parent). 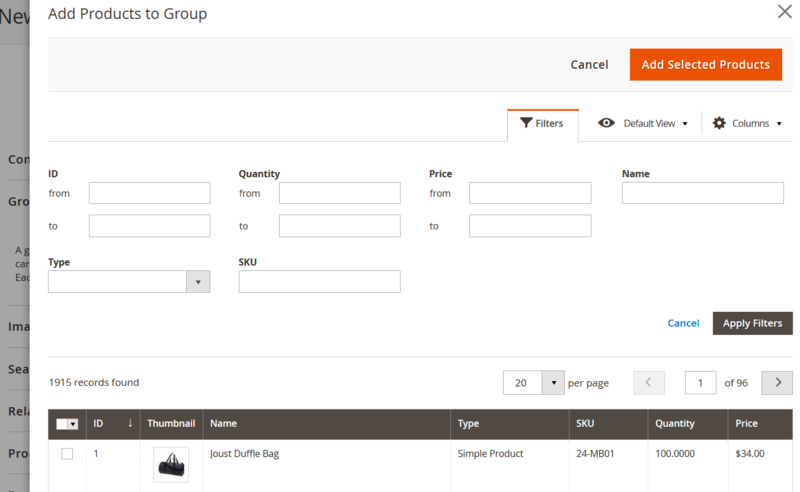 To assign a new simple product to the grouped one click Add Products to Group button. Note: a single simple product can belong to multiple grouped products. When you click Add Products to Group button a screen with the products grid and filters is displayed. Here, using filters you can find the products you want to assign to the group. When you have found and ticked all required products click Add Selected Products button. Then, you can save the grouped product. That’s it. As you can see creating a grouped product is a simple task that shouldn’t get you any troubles. Make sure to check the product at the frontend to see if everything went fine. As far as the Magento 2 grouped product import goes, everything is as simple as with creating a new product. And you can further enhance your import and export processes with the help of Magento 2 Improved Import and Export extension, that allows automating import and export procedures and introduces import from Google Sheets. In this chapter I will describe the grouped product import in reference to Google Sheets. However, you can always save the document as a CSV file, so the guide will be useful to everyone. Before we start the import process we first need to acquire the CSV table with products, that is formatted for Magento 2 import. There are several ways to do it. First, you can export your product catalog using native Magento 2 import, which can be found at System > Data Transfer > Import. Second, you can use an existing tab of the Google Sheet Master Table. The tab with grouped products can be found here. Third, you can refer to the FireBear Studio GutHub. There you can find all necessary tables for product, customers, and other import procedures. At the screenshot above you can see a sample tab of the Google Sheet Master Table. I will use it to describe grouped product import process. The grouped products use all the same product attributes of a simple product. 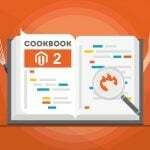 So, if you are familiare with native Magento 2 import, and have read our Complete Guide to Magento 2 product import, you should be fine. Otherwise take your time to dive into importing process. In case you need a quick attribute reference, in the Master Table you can always hover the mouse over the attribute of interest to get a quick tip on what this particular attribute does and what values are expected. Now, to the grouped product import. The main difference is the associated_skus attribute column. That’s where you assign existing(!) simple products to the grouped one. So, what is the associated_skus column? It is the column where the store owners put SKUs of all associated simple (child) products. Moreover, in this very column you can also specify the default quantity of the simple product that should be applied in the grouped product settings. We need to import grouped product that is a Training Kit, with an SKU training1. 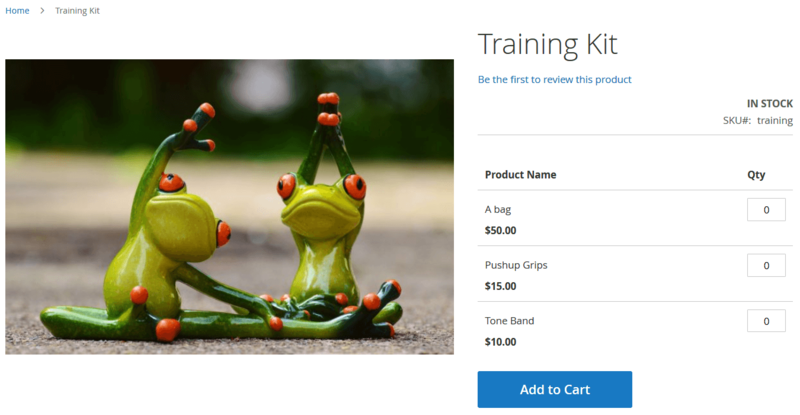 Tone Band – with SKU training-band1. It is a simple as it looks, first you type SKU, then ‘=’, then the required default quantity, multiple SKUs are separated by comma. Another prominent featured of Improved Import and Export extension by FireBear is that it lets you reassign simple products to the grouped product. This can be done with Remove Product Association feature of the import job. If Remove Product Association enabled, only the simple products from the currently imported table will be assigned to grouped products. All other simple products will be removed from the grouped products. For example: you have grouped product A, with simple products B, C, D. If you import grouped product A, with only simple B assigned, with Remove Product Association enabled, you will have a grouped A, with only simple B assigned. C and D simples will be removed. That’s it, you are now familiar with the grouped product import. Really? Yeah, it is simple. In case you require further assistance feel free to get use of the Grouped Product tab of the Master Table. You can save it, and substitute the sample product values, for your real products, and you can always get a tip on the product attribute you are to enter. I hope the guide was helpful and you have all your grouped product questions answered. If not, ask in the comments, we will be glad to shed the light on it.